According to its areal description the Proto-Armenian language is traditionally related to the East branch of Indo-European areal, to which apart from Armenian also belong Aryan, Greek, Balto-Slavic and some other ancient Balkan languages. The definition of the Armenian language as a separate Indo-European branch was given for the first time by Huebschmann H. However, along with isoglottic lines, connecting the Armenian language with Indo-Aryan and Greek, there are also isoglottic lines that unite Armenian with a wider group of Indo-European dialects. 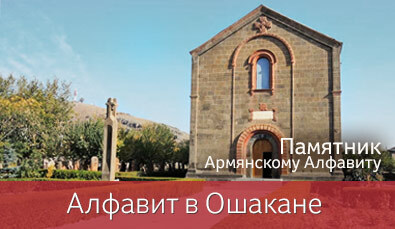 A number of recent works is dedicated to exposure of areal connection of Armenian with different Indo-European languages. Nowadays, the areal characteristic of Armenian is expanding thanks to the revelation of a number of isoglottic lines. The study of new data draws a conclusion that a great amount of lexical isoglottic lines unites Armenian not only with the South areal, but also with the North areal of Indo-European language community. Among the works about the Armenian language, a special attention is paid to the research work of G. Solta "The place of Armenian in the circle of Indo-European languages". In his book the author confirms that most isoglottic lines, which join Armenian to other Indo-European languages, refer to Greek. Nonetheless, the main desert of G. Solta is that he reviewed the firmly convinced view since the 19th century about the lack of Armenian and Germanic isoglottic lines and showed that Armenian has series of isoglottic lines common to Greek and Germanic, and also to Germanic and Balto-Slavic. In this regard the table of the frequency of isoglottic lines, presented by Solta, where the sequence of languages shows the decreasing isoglottic frequency, is of a great interest. A clear areal characteristic of Armenian was given by A. Makaev, who analyzing the latest works, concludes: "The quantity of peculiar Armenian isoglottic lines is considerably less than the one that encompasses isoglottic lines within its group. Hence, this indicates on the central position of Armenian among other Indo-European languages. In any case, Armenian, concerning its lexis, throws a bridge from Aryan to Balto-Slavic languages and from Greek to Italic, Celtic and German languages. G.B. Jaukyan thinks that dialectal basis of Armenian took intermediate position among Indo-European languages and had the closest connections with Iranian languages on the one hand, and on the other hand- with Greek and Phrygian. The opinion that Armenian and Phrygian originally consisted one language yet is not taken for granted.